When it comes to outdoor entertainment, a well-maintained deck and fence can transform your yard. 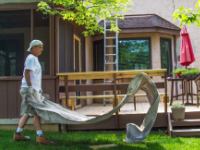 Over time, however, wear and tear can damage your outdoor space, leaving your deck and fence to look unmaintained and outdated. Rather than replace all your outdoor fixtures, Sharper Impressions’ deck and fence staining services are a quick and easy solution that will last. There are both advantages and disadvantages to using each of these stains. Usually, a semi-transparent stain will last about half as long as a solid stain and will just fade over time, versus a solid stain, which will start peeling once the stain begins to fail. Whichever deck stain you decide to go with, Sharper Impressions will do the hard work for you, bringing your deck back to life right before your eyes. A semi-transparent stain shows off the wood graining and adds deep penetrating color to the wood fibers. A solid stain can be any color at all and just like paint, you can match it to the home or any other surface. It is much thicker and covers a majority of the wood graining. Our team at Sharper Impressions will refinish your fence the proper way, starting with a thorough power wash of the area. This cleans any mildew, pollutants and chalking that may be on your fence. After letting the fence dry, we apply one to two coats of paint or stain, depending on what your fence needs, to both sides. A fence can last about 2-8 years, depending on the amount of exposure and type of stain used. With thorough preparation, our knowledgeable painters and a high-quality stain or paint, we can turn a drab fence into a colorful part of your yard. 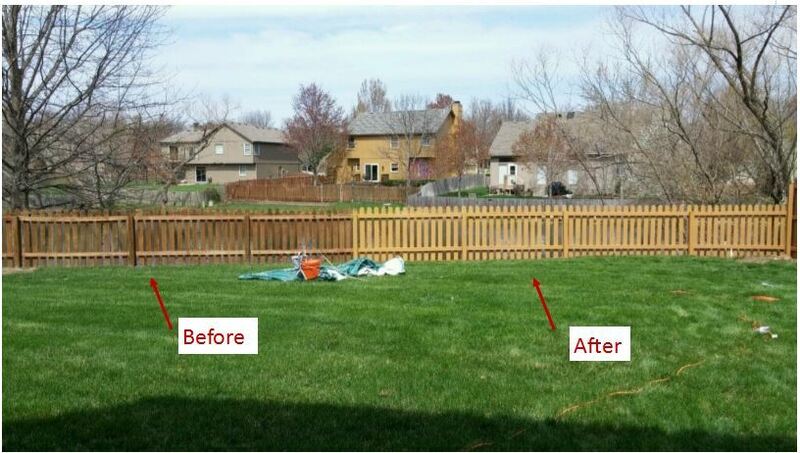 Looking for deck and fence staining services to give your yard a fresh look? Call Sharper Impressions Painting today to schedule a free estimate, or request a free quote by filling out the form below!